§ 7 Responses to New “Whisky Only” Shop in Brooklyn: The Whiskey Shop! Sounds like a cool little store. I like their selections and I particularly like that they also stock some bitters and mixers. We have plenty of liquor stores in South Jersey, but to be honest, the vast majority all sell the same stuff. I went to three nearby stores last night in search of Rhum Agricole for a blog post I’m planning, but all they carried was Bacardi, Captain Morgan, and any other standard issue stuff. Irritated the hell out of me! The search continues this afternoon. Wish me luck. Can’t wait to hear about your whisky adventures in France. And speaking of Japanese whisky, I scored a generous sample of Nikka From the Barrel this past weekend. Can’t wait to try it! OMG! Nikka From the Barrel was my favorite! I can’t wait to hear your thoughts… definitely only drink it from a Glencarin (or similar) glass and you have to tell me what you think! I almost fell over when I had it. It was love at first sip. I am dying to try the Nikka! It smells wonderful. Just waiting for one of my co-bloggers to get back from vacation to break it out. I can’t say who gave me the Nikka just yet. I was invited to take part in something whisky related this past Saturday, but was asked to keep it on the DL for a bit. All I can say is that I have never seen so many whiskies in someone’s home. I finally picked up a bottle of Barbancourt (sp?) White Haitian rum this afternoon. Stay tuned for the post! Oh man, I am so excited for you! Sounds like a perfect weekend… I am definitely staying tuned! 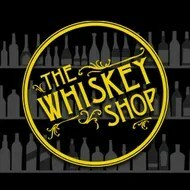 You are currently reading New “Whisky Only” Shop in Brooklyn: The Whiskey Shop! at The Whisky Woman.